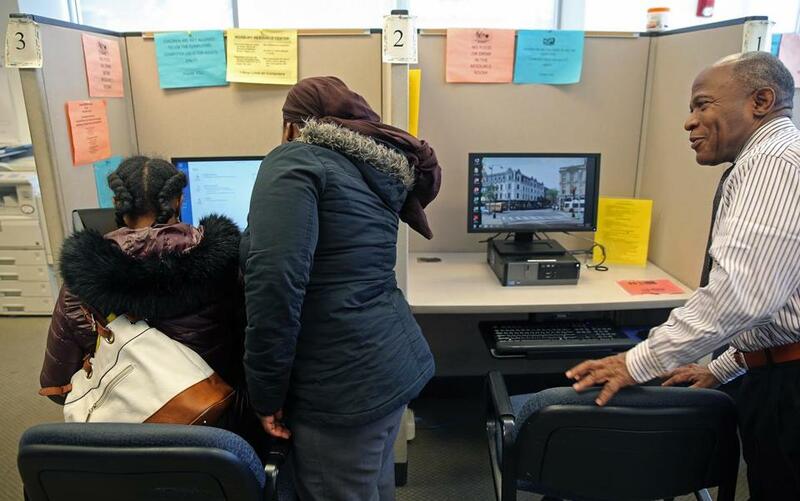 Evelyn Gonzales visited a center in Roxbury’s Dudley Square for help with her finances. Making money isn’t the problem for Adalziza Campbell. Managing it is. Campbell works two jobs, as a hairdresser and a certified nursing assistant, but still can’t get ahead. She got turned down for a bank loan to buy a house and had to borrow from her dwindling savings account to pay her bills. 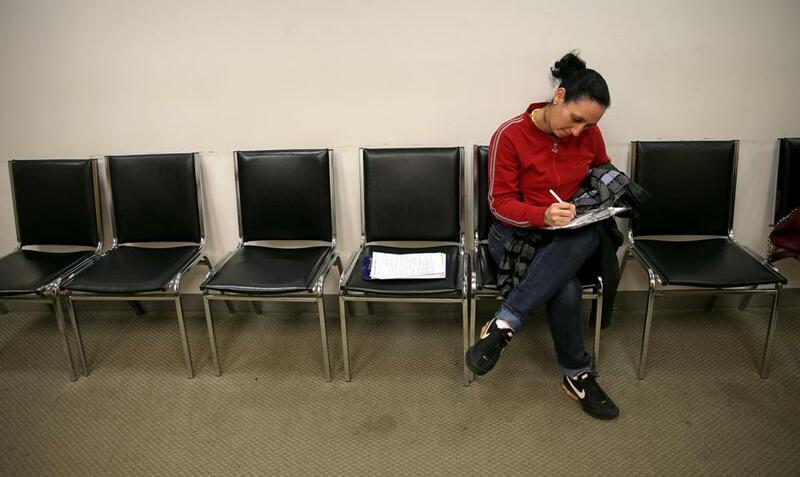 Like many people, Campbell, 35, of Charlestown, had never created a budget or tried to improve her credit score. But she has started learning these skills at the new Roxbury Center for Financial Empowerment in Dudley Square, one of two such sites to open in October as part of the city’s new Office of Financial Empowerment. Teaching people to take control of their finances has become a major push in the efforts to narrow the gap between rich and poor — and a big part of Mayor Martin J. Walsh’s focus on addressing Boston’s rising income inequality. Fourteen cities make up a national financial empowerment coalition, which Boston wants to join, and 75 “financial opportunity centers” have opened across the country, including the two sites in Boston. These centers — one run by the city and the other by the nonprofit Jewish Vocational Service, both formerly focused on employment — help low- to moderate-income workers find better jobs, access public benefits, and build assets in an attempt to break the cycle of poverty. A third center is planned for South Boston in the fall. “It’s not just simply about when somebody does their taxes, they get a few dollars back, how do you invest the taxes? How do you get somebody fiscal stability long term?” said Walsh, who is taking part in a forum on financial empowerment Sunday at the University of Massachusetts Boston as part of a two-day United States Conference of Mayors leadership meeting in Boston. Boston has the third highest rate of income inequality among the 50 largest US cities, according to recent study by the Brookings Institution, a Washington think tank. Nearly half of Boston households do not have enough savings to live above poverty level for three months if their incomes are disrupted. People of color are worse off; 69 percent of African-American and 75 percent of Hispanic households have insufficient savings. Only 41 percent of the jobs in Boston are filled by residents, and they are predominantly low-wage jobs in retail, maintenance, and hospitality, said Trinh Nguyen, director of the city’s financial empowerment office. The push for financial empowerment could provide more opportunities for these residents by rebuilding their credit, helping them save for college, and putting them on a path toward a better career. 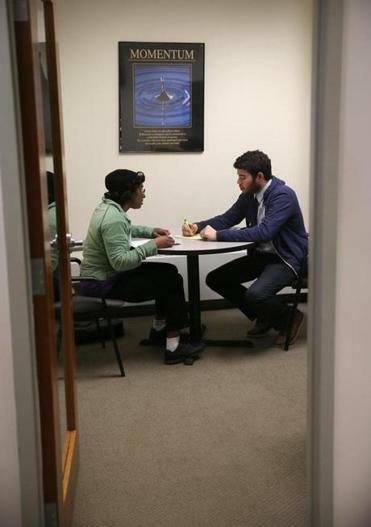 Alan Gentle (right) assisted clients at the Roxbury Center for Financial Empowerment. Since the beginning of the year, the two Boston financial empowerment centers have helped 1,800 people with one-time credit advising, tax services, and service referrals, and have given nearly 300 residents more intensive, ongoing financial coaching. For many low-wage earners, rebuilding credit is the key to financial stability. Poor credit can make it difficult to find a good rate on cellphone service, rent an apartment, or get a job. Getting a loan is nearly impossible, forcing people to turn to predatory services, such as payday loans, which charge interest rates of 100 percent or more for small amounts of money. Suzanne Lynch (left) of Boston received advice from Jason Andrade, who is a financial coach. During the course of a lifetime, a low credit score can cost a person $200,000, according to the Local Initiatives Support Corporation, or LISC, a New York nonprofit that provides grants and loans to improve low-income neighborhoods. LISC is providing funding, along with the United Way of Massachusetts Bay and Merrimack Valley, for financial opportunity centers in Boston and Chelsea. The United Way funds similar sites in Quincy, Lynn, and Lawrence. One way to reestablish credit is through a pilot program called a twin account. LISC lends participants $300 apiece, and they pay back $27 a month, including fees, over a year. For each on-time payment, participants earn matching amounts, leaving each with $600 in the end. The loan is reported to the credit bureau, which helps build credit. Jason Andrade, a financial coach at the Roxbury center, plans to use twin accounts, and college savings accounts, to help clients achieve financial stability. Andrade helped Campbell, the Charlestown hairdresser and certified nurse assistant, set up automatic online payments to make sure her bills are paid on time, address problems in her credit report, and figure out a budgeting app that alerts her when she spends too much on food or clothing. Campbell now waits for sales and buys in bulk at warehouse stores instead of running to expensive convenience stores. She pays more than the minimum amount on her bills, helping her credit score improve from 615 to 627 in a month. And as her score rises, Campbell’s dreams of buying a home, sending her children to college, and going back to school are beginning to come into focus.